Room 20 @Sunnyhills: Tadpoles came to visit today! 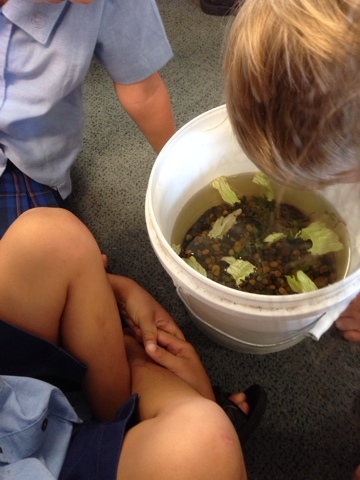 Ali helped Mrs Trembath carry the bucket of tadpoles. 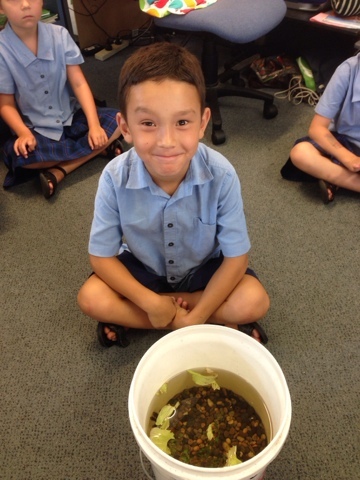 It was heavy because there are pebbles, water and tadpoles inside. Haden fed the tadpoles some lettuce. Do you know what else they like to eat? 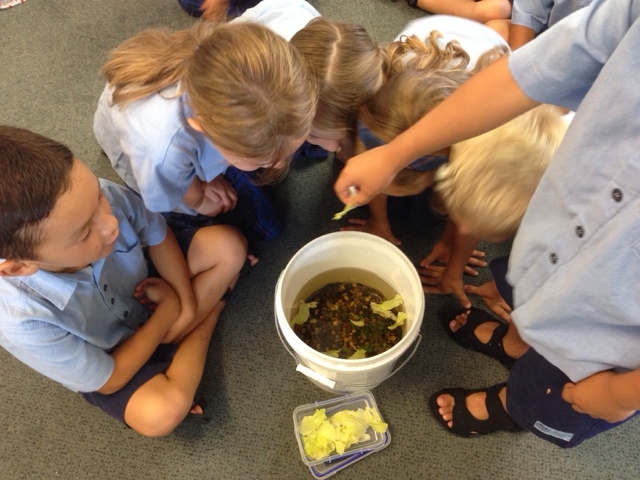 Wow, that's wonderful to see tadpoles and just knew they like to eat lettuce. Room 20! I can't wait to visit your class to see the tadpoles with my class next week! Tadpoles are so interesting. I hope they don't escape if they visit when they are frogs! 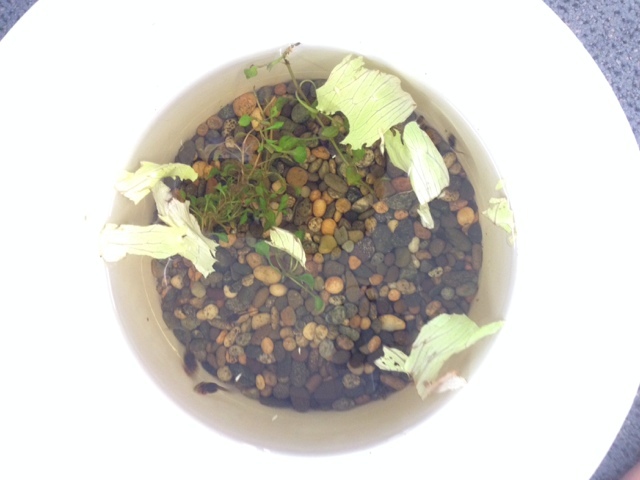 Jessica's mum: Great to see the tadpoles getting bigger every week! They'll have legs in no time. I hope I don't find them hopping around the classroom in the morning!